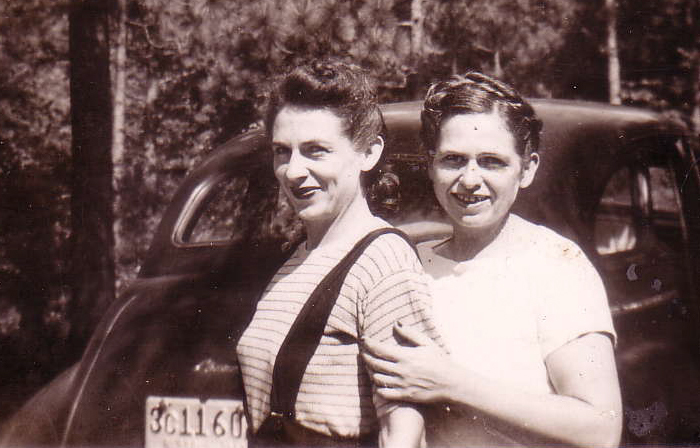 Adult Woman in picture is Ola May (Engram) Goff with Marjorie Helen Goff in her arms. 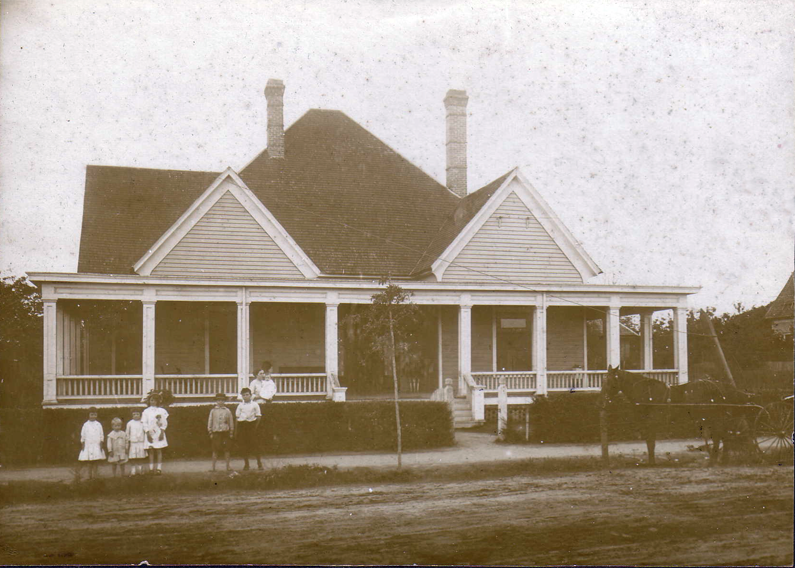 Children (Left to Right) are Marion Byrd, John William Goff, Frances Goff, Mabel Middlebrooks, James Rollins, and Autrey Goff. [S15] Letter, Pat Collins to David A. Bagwell, 1994. [S11] Richard Forrest Ropp, Family Group Sheet for Richard Forrest Ropp, File Reference: RM-25. Annoucement that John Wesley Goff's wife gave birth to John William Goff. Ann Harris married John William Goff, son of John Wesley Goff and Ola May Engram. Her married name was Goff. Ann Harris died on 12 February 1935. She died from an accidental gunshot. Winnie Turner married John William Goff, son of John Wesley Goff and Ola May Engram. [S2195] Email from Linda McCoy dated 12/4/2011 to Wayne Parker Bagwell; Subject Line: Re: Sarah Nell (Goff) Linville. [S135] Joseph Dwight Linville, Death Collection: Joseph Dwight Linville. 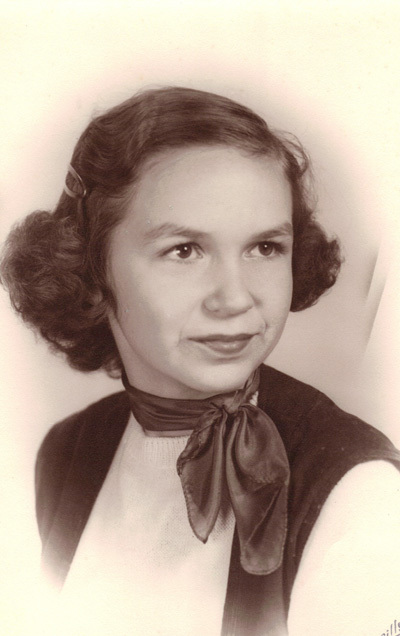 Hazel Annett Goff was born on 25 February 1917 in Enterprise, Coffee County, Alabama. She was the daughter of John Wesley Goff and Ola May Engram. Hazel Annett Goff married (?) Unknown and the marriage was annulled shortly after taking place. As of 10 May 1937,her married name was Callaham. Hazel Annett Goff married Virgil Oxford Callaham Jr., son of Virgil Oxford Callaham and Sophia Caroline Burks, on 10 May 1937 at Mount Zion Methodist Church, Vinemont, Cullman County, Alabama. Hazel Annett Goff died on 6 December 1984 at age 67 She died of a heart attack. She was buried at Greenwood Cemetery, Montgomery, Alabama. 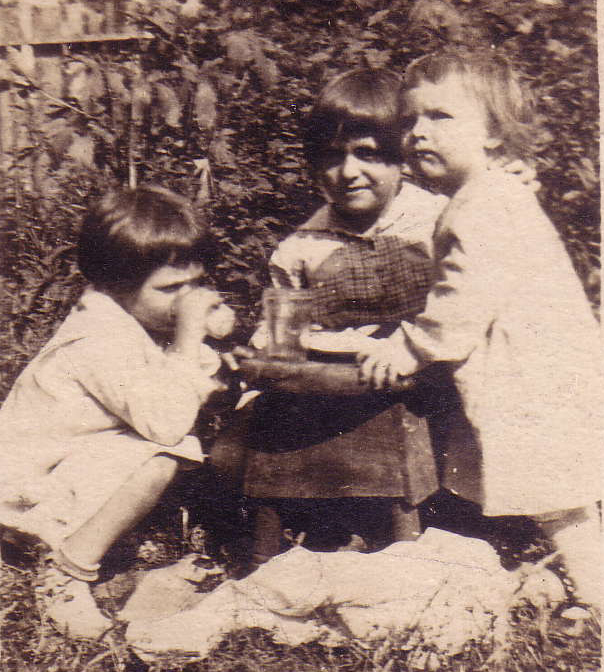 Children of Hazel Annett Goff and Virgil Oxford Callaham Jr. (?) Unknown married Hazel Annett Goff and the marriage was annulled shortly after taking place. Virgil Oxford Callaham Jr. was born on 24 October 1909 in Vinemont, Cullman County, Alabama. He was the son of Virgil Oxford Callaham and Sophia Caroline Burks. Virgil Oxford Callaham Jr. graduated circa 1931 at Alabama Polytechnic Institute, Auburn, Lee County, Alabama; Graduated with a Bachelor of Architecture degree. (Alabama Polytechnic Institute is now Auburn University). He married Hazel Annett Goff, daughter of John Wesley Goff and Ola May Engram, on 10 May 1937 at Mount Zion Methodist Church, Vinemont, Cullman County, Alabama. He designed the Mount Zion Methodist Church (Vinemont, Alabama) and supervised its construction as a pro bono project and to gain architectural experience during the Great Depression, when there were little construction and architectural firms hiring. His name is on the cornerstone. Virgil Oxford Callaham Jr. died in November 1986 in Montgomery, Alabama, at age 77. He was buried at Greenwood Cemetery, Montgomery, Alabama. Mary Ruth Goff was born on 14 August 1920 in Enterprise, Coffee County, Alabama. She died on 15 August 1920 Died as infant. Cause fo death - "Blue Baby".1 She was the daughter of John Wesley Goff and Ola May Engram. [S150] Email from Debra (Goocher) Morgan dated June 25, 2008 to Hunter Wayne Bagwel - Subject Line: Autrey Goff and Mary Jean Goff. [S143] Mary Jean Goff, New York Certificate of Death: Mary Jean Goff. [S145] Mary Jean Goff, Birth Certicificate 117-1937-038-17504 (August 7, 1937). Jeanine Goff is the daughter of John William Goff and Winnie Turner. [S92] Email from Michael Callaham dated May 17, 2008 to Hunter Wayne Bagwell - Subject Line: Marjorie's DAR Application. Children of Jennie (Jenny) Lynn Linville and Howard Chapman Fulwiler Jr.
[S5398] Email from Linda McCoy dated July 2018 to Hunter Wayne Bagwell; Subject Line: Re: John Wesley Linville Passing. Jerry Stokes Linville is the son of Joseph Dwight Linville and Sarah Nell Goff. [S65] Wayne Bagwell, "Wayne Bagwell's Research Materials."